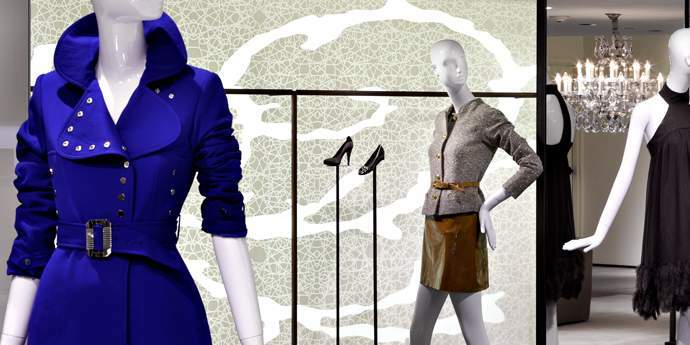 Creating an inviting, dramatic environment which enhances the elegant style of the clothes. An inviting, dramatic environment at the Elie Tahari Boutique features Corian® solid surface translucent walls for a dynamic design focal point. Working with a fabricator who could translate the architect’s design drawings into a precise, balanced, non-repeating three-dimensional pattern. Using translucent Corian® allowed for a series of larger-than-life floral vines to illuminate the 74’ long wall, opening-up the low-ceiling space. 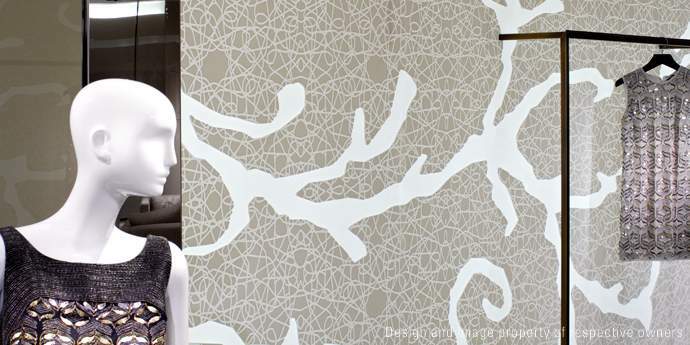 Machining two layers of patterns at different gradients in the Corian® helped to create a distinctive wall design that evokes a sense of movement. Corian® solid surfaces can be carved, backlit and thermo-formed into virtually any design—offering unmatched design flexibility. Corian® is easy to clean, requires minimal maintenance and allows for a virtually seamless appearance.